Buenos Aires (CNN) A missing Argentine naval submarine has been found, a year and a day after it vanished in the South Atlantic with 44 crew members on board, authorities said Saturday. The wreckage of the ARA San Juan, which “suffered an implosion,” was found about 870 meters (2,850 feet) down on the ocean floor, Argentine Naval Captain Gabriel Attis later told reporters in Buenos Aires. Hours before the wreckage was positively identified, the Argentine navy tweeted an image of a point of interest on the seabed, suggesting that a 60-meter-long object might be the missing vessel. It was found by an American company contracted by Argentina to locate the submarine. 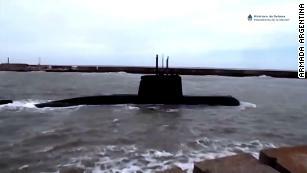 Footage showed relatives of the lost submariners grieving in the northern port of Mar del Plata, the submarine’s home base, as they received the news that the submarine had been found. It’s not yet clear what condition the vessel is in or whether it will be possible to recover it. 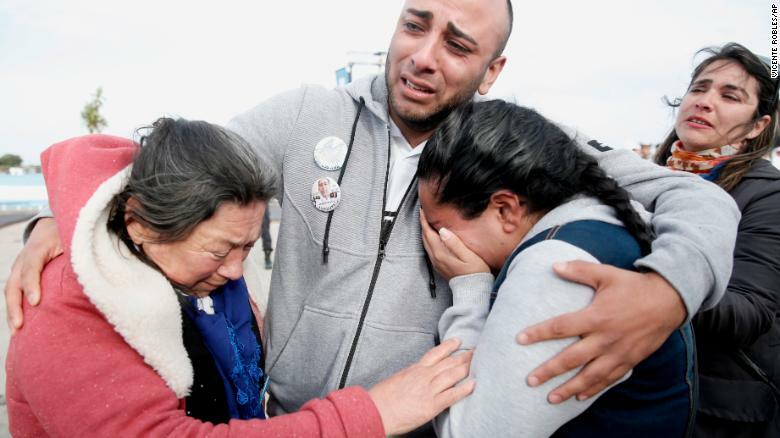 Relatives of the missing crew embrace Thursday, November 15, 2018, after a ceremony marking the anniversary of the ARA San Juan’s disappearance at a navy base in Mar del Plata, Argentina. 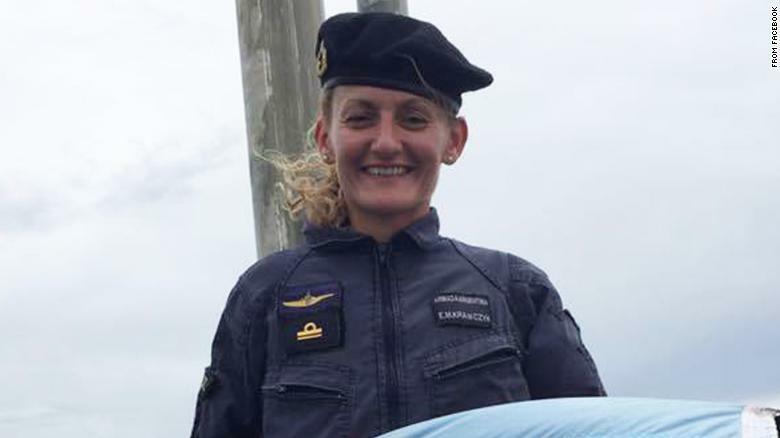 Argentina’s first female submarine officer, Eliana Krawczyk, was among the crew of the ARA San Juan. Ocean Infinity, a US company specializing in deep water search and recovery, began looking for the ARA San Juan in September, using autonomous underwater vehicles operated by a team on board its ship Seabed Constructor, the firm said in a news release. The same ship was previously involved in the search for missing Malaysia Airlines Flight 370. 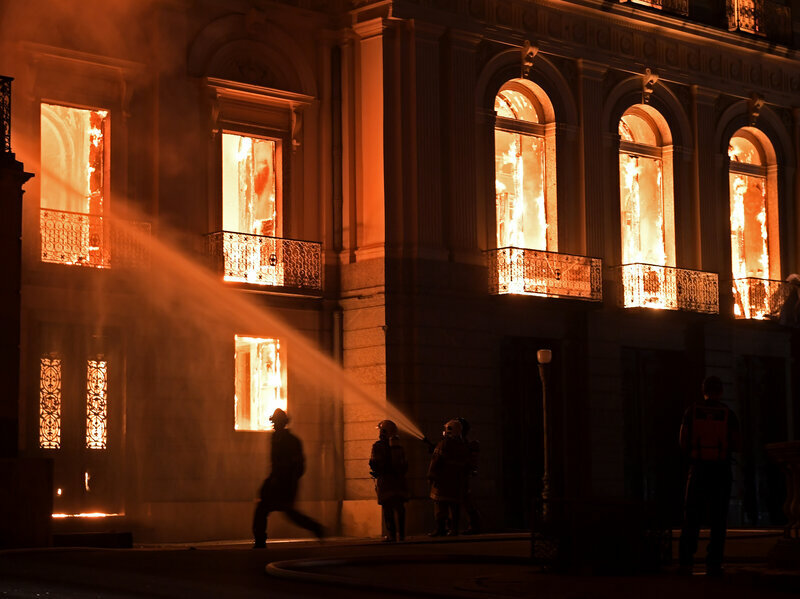 CNN’s Daniel Silva Fernandez reported from Miami and Ignacio Grimaldi from Buenos Aires, while Laura Smith-Spark wrote from London. 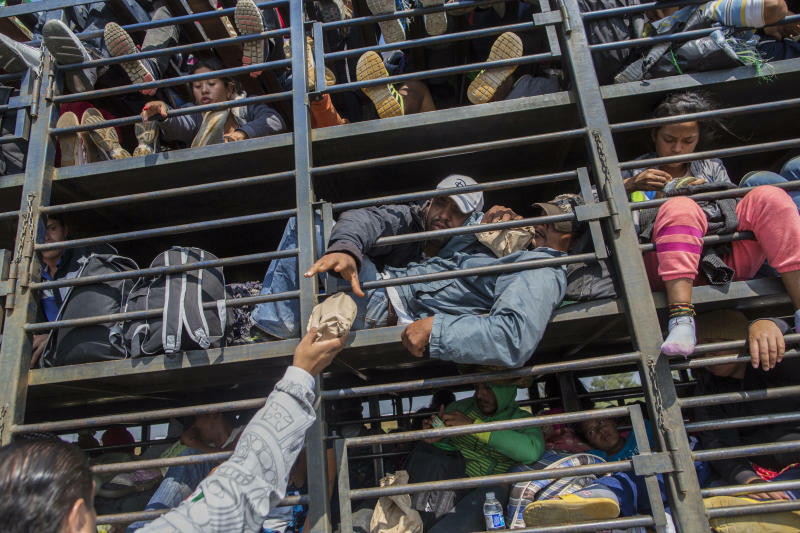 CNN’s Alejandra Morales and Max Ramsey contributed to this report. Introduction Once part of Spain’s vast empire in the New World, Honduras became an independent nation in 1821. After two and a half decades of mostly military rule, a freely elected civilian government came to power in 1982. During the 1980’s, Honduras proved a haven for anti-Sandinista contras fighting the Marxist Nicaraguan Government and an ally to Salvadoran Government forces fighting leftist guerrillas. 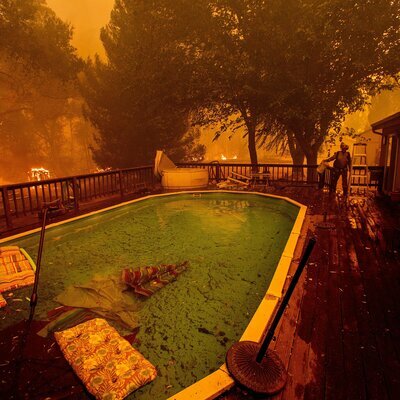 The country was devastated by Hurricane Mitch in 1998, which killed about 5,600 people and caused approximately $2 billion in damage. History Archaeologists have demonstrated that Honduras had a rich, multi-ethnic prehistory. An important part of that prehistory was the Mayan presence around the city of Copán in western Honduras, near the Guatemalan border. A major Mayan city flourished during the classic period (150-900) in that area. It has many carved inscriptions and stelae. The ancient kingdom, named Xukpi, existed from the fifth century to the early ninth century, with antecedents going back to at least the second century. The Mayan civilization began a marked decline in the ninth century, but there is evidence of people still living in and around the city until at least 1200. 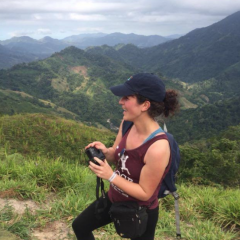 By the time the Spanish came to Honduras, the once great city-state of Copán was overrun by the jungle, and the Lencas, not the Mayans, were the main Amerindian people living in western Honduras. On his fourth and final voyage to the New World in 1502, Christopher Columbus reached the Bay Islands on the coast of Honduras. Landing near the modern town of Trujillo, in the vicinity of the Guaimoreto Lagoon. After the Spanish discovery, Honduras became part of Spain’s vast empire in the New World within the Kingdom of Guatemala. Trujillo and Gracias were the first city-capitals. The Spanish ruled what would become Honduras for approximately three centuries. During this period a clock which had been built by the Moors in the twelfth Century was transferred to the Cathedral of Comayagua in 1636: it is now the oldest functioning clock in the Americas. Spain granted independence to Honduras, with the rest of the Central American provinces on September 15, 1821. In 1822 the United Central American Provinces decided to join the newly declared Mexican Empire of Iturbide. The Iturbide Empire was overthrown in 1823 and Central America separated from it, forming the Federal Republic of Central America, which disintegrated in 1838. As a result the states of the republic became independent nations. Silver mining was a key factor in the Spanish conquest and settlement of Honduras, but has been only a minor part of the national economy in recent years. The American-owned Barger Mining Company was a major gold and silver producer, but shut down its large mine at San Juancito in 1954. Following the attack on Pearl Harbor, Honduras joined the Allied Nations on December 8, 1941. Less than a month later, on the first day of 1942, Honduras, along with twenty-five other governments, signed the Declaration by United Nations. In 1969, Honduras and El Salvador fought what would become known as The Soccer War. 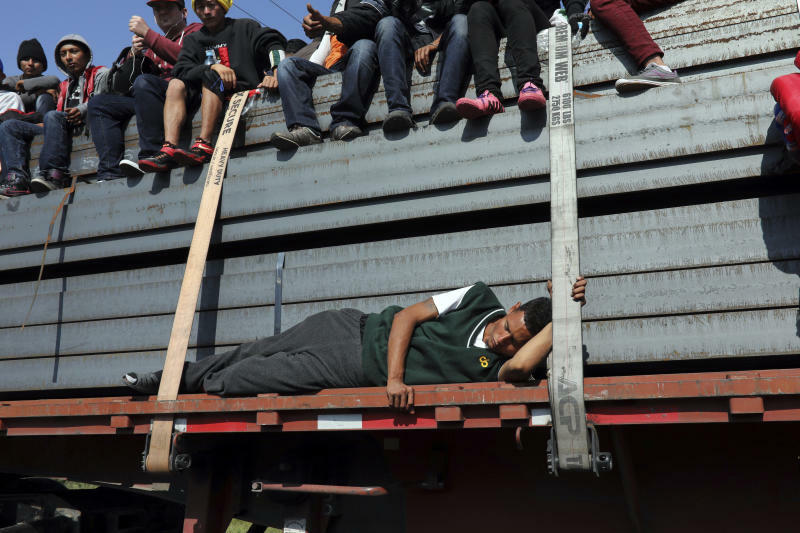 There had been border tensions between the two countries after Oswaldo López Arellano, a former president of Honduras, blamed the deteriorating economy on the large number of immigrants from El Salvador. From that point on, the relationship between the two countries grew acrimonious and reached a low when El Salvador met Honduras for a three-round football elimination match as a preliminary to the World Cup. Tensions escalated, and on July 14, 1969, the Salvadoran army launched an attack against Honduras. The Organization of American States negotiated a cease-fire which took effect on July 20, and brought about a withdrawal of Salvadoran troops in early August. Contributing factors in the conflict were a boundary dispute and the presence of thousands of Salvadorans living in Honduras illegally. After the week-long football war in July 1969, many Salvadoran families and workers were expelled. 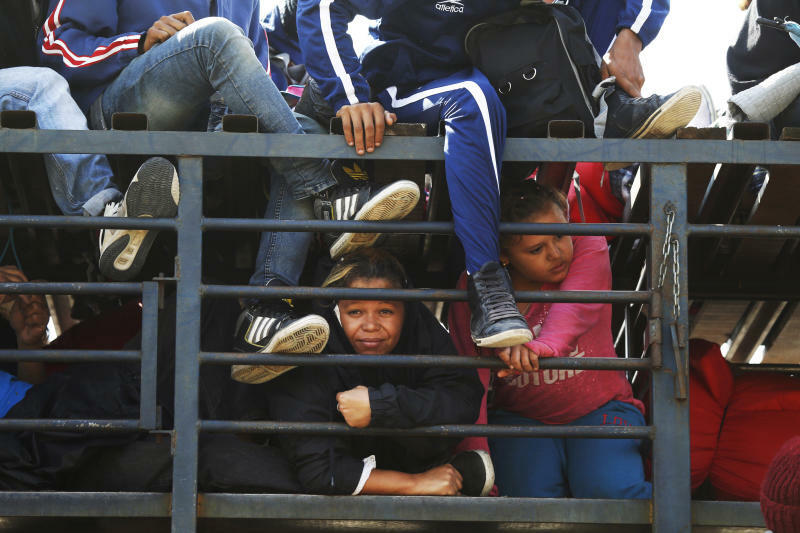 El Salvador had agreed on a truce to settle the boundary issue, but Honduras later paid war damage costs for expelled refugees. During the 1980’s, the United States established a very large military presence in Honduras with the purpose of supporting the Iran-Contra Affair, anti-Sandinista Contreras fighting the Nicaraguan government, and to support the El Salvador military fighting against the FMLN guerrillas. The U.S. built the airbase known as Palmerola, near Comayagua, with a 10,000-foot (3,000 m) runway so that C5-A cargo planes could land there, rather than at the public airport in San Pedro Sula. The U.S. also built a training base near Trujillo which primarily trained Contras and the Salvadoran military, and in conjunction with this, developed Puerto Castilla into a modern port. The United States built many airstrips near the Nicaraguan border to help move supplies to the Contra forces fighting the Sandinista’s in Nicaragua. Though spared the bloody civil wars wracking its neighbors, the Honduran army quietly waged a campaign against leftists which included extra judicial killings and forced disappearances of political opponents by government-backed death squads, most notably Battalion 316. Hurricane Fifi caused severe damage while skimming the northern coast of Honduras on September 18 and 19, 1974. In 1998, Hurricane Mitch caused such massive and widespread loss that former Honduran President Carlos Roberto Flores claimed that fifty years of progress in the country were reversed. Mitch obliterated about 70% of the crops and an estimated 70-80% of the transportation infrastructure, including nearly all bridges and secondary roads. Across the country, 33,000 houses were destroyed, an additional 50,000 damaged, some 5,000 people killed, 12,000 injured, and total loss estimated at $3 billion USD. 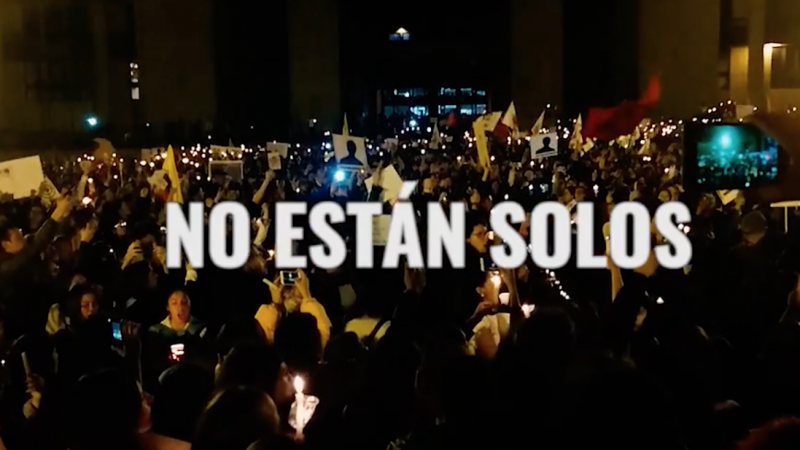 Screenshot of the video “No están solos” (You’re not alone) with images of the protests in Colombia in defense of social activists. Video and images shared by Contagio Radio, a Colombian local independent radio station devoted to human rights. We’re the families of the leaders who have been killed in the region. We’ve all been threatened with death as a strategy put together by corporations that have already been charged by different legal institutions and business people who have already been denounced. How much longer [will this go on] and how many more [will die]? These people are the thorn in the flesh for the armed groups’ interests: the control of the land, illegal mining and drug trafficking routes. These have a lot of consequences; when they kill a social activist they’re killing the possibilities of change in that community, because the projects that this person was in charge of are abandoned and people are scared to continue. Often times people leave town, in fear of having the same fate, or because they’ve been threatened already. The message is well understood. That way, any opposition is eliminated and everything remains untouched. The ones who are screwed, are even more screwed, and the warlords remain the owners of everything. 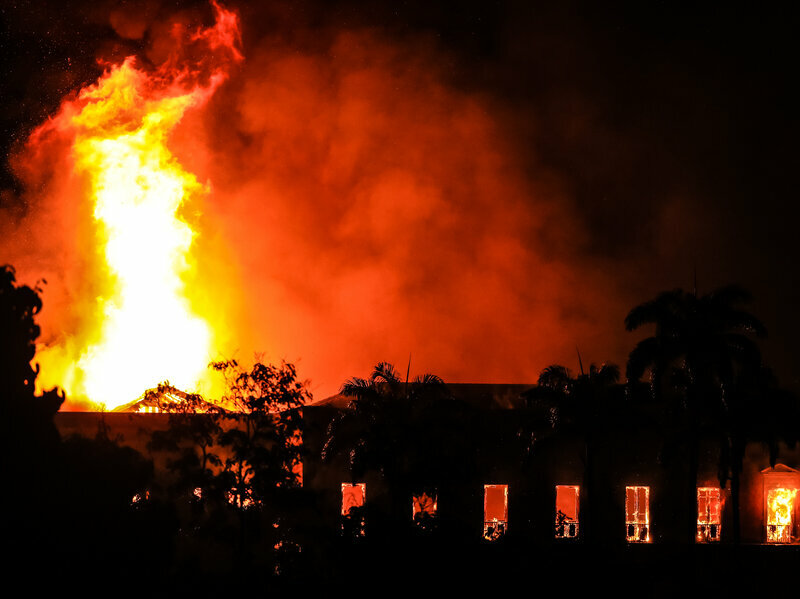 All of this is happening before our eyes, while the government comes up with just band-aid solutions and even dare to suggest that some of the victims are criminals. 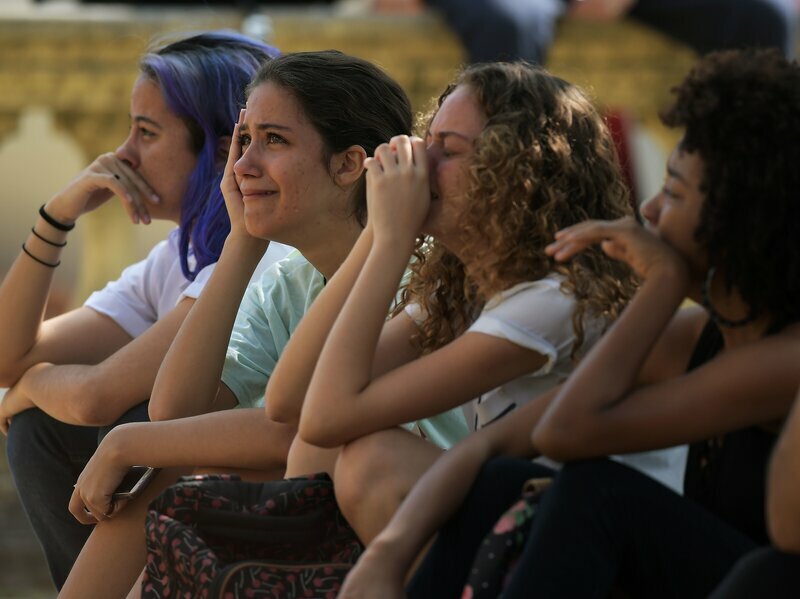 Most of their activities, petitions, documentaries, and news can be followed through #NosEstánMatando (#They’reKillingUs) and #NoEstánSolos(“You’reNotAlone), trending hashtags devoted to denouncing the killings and telling the stories of victims to keep their memory and hard work alive.